Two doctoral students in musicology have recently been awarded fellowships. Jessica Kizzire will receive the University of Iowa’s Ballard Seashore Fellowship, which provides “protected and supported time” for doctoral candidates to focus on their research and the writing of their dissertations. Jessica will be completing “Hearing Wonderland: Aural Adaptation and Carroll’s Classic Tale,” in which she will critically examine the role of sound in multimedia adaptations of Lewis Carroll’s story in film, ballet, and other multimedia formats. Michele Aichele has been awarded an American Association of University Women (AAUW) American Dissertation Fellowship. The AAUW, founded in 1881, is dedicated to promoting equity and education for women and girls through advocacy, education, philanthropy, and research. In her dissertation, “Cécile Chaminade (1857–1944) and ‘The New Woman’ in the United States,” Michele considers why the composer’s music became so popular, inspiring hundreds of American Chaminade music clubs, and explores how traditional female roles related to and conflicted with Chaminade’s public persona and career. University of Iowa students and faculty traveled to Drake University in Des Moines to present papers at the second Iowa Musicology Day on Saturday, March 26. The topics of their research included film music, the music of German POWs in Iowa, The Tempest by Frank Martin, and an early female conductor, the Countess of Radnor. Professor Marian Wilson Kimber chaired the program committee for the event. Sarah Lucas, a Ph.D. student in musicology, has won a U.S. Student Fulbright Award to conduct dissertation research at the Béla Bartók Archive and National Széchényi Library in Budapest, Hungary, during the 2016–2017 academic year. Through her research, which also includes study of conductor Fritz Reiner’s conducting scores and correspondence in the United States, Sarah seeks to explore the details of the connection between composer Béla Bartók and Reiner, as well as the effects of their professional association on Bartók’s compositions and their reception in the U.S. Congratulations Sarah! Prof. Eric Saylor will host the annual Iowa Musicology Day conference at Drake University in Des Moines on Saturday, March 26, between 9 and 5:30 in Room 204 of the Fine Arts Center. The conference brings together musicologists and students from Iowa schools to share their research. All are welcome to attend. Iowa faculty have recently been active in publishing scholarship, presenting papers, and developing new pedagogies. Christine Getz’s “Canonizing San Carlo: Sermonizing, the Sounding Word, and Image Construction in the Polyphony for San Carlo,” was published in the 2015 edition of Early Music History. This essay examines the role of the hymns, the sacred polyphony by Vincenzo Pellegrini and Andrea Cima, and the spiritual madrigals of Giovanni Battista Porta in promoting the officially sanctioned image of Carlo Borromeo after his elevation to the status of ‘beato’ and following his canonisation. Trevor Harvey’s chapter, “Avatar Rockstars: Constructing Musical Personae in Virtual Worlds,” about music in Second Life, was just published in The Oxford Handbook of Music and Virtuality, edited by Sheila Whiteley and Shara Rambarran. The CD, Brazilian Dreams: Music of Michael Eckert, was released in the fall of 2015 on MSR Classics MS1549. It includes Three Chôros, Three Pieces in Brazilian Style, Three for the Road, Three Scenes (Amanda McCandless, clarinet; Polina Khatsko, piano); Three Tangos, and Three Pieces for Two Pianos (The Unison Duo). Michael Eckert has also published a review of Ben Earle, Luigi Dallapiccola and Musical Modernism in Fascist Italy in The Journal of Musicological Research 34 (2015): 352-354. 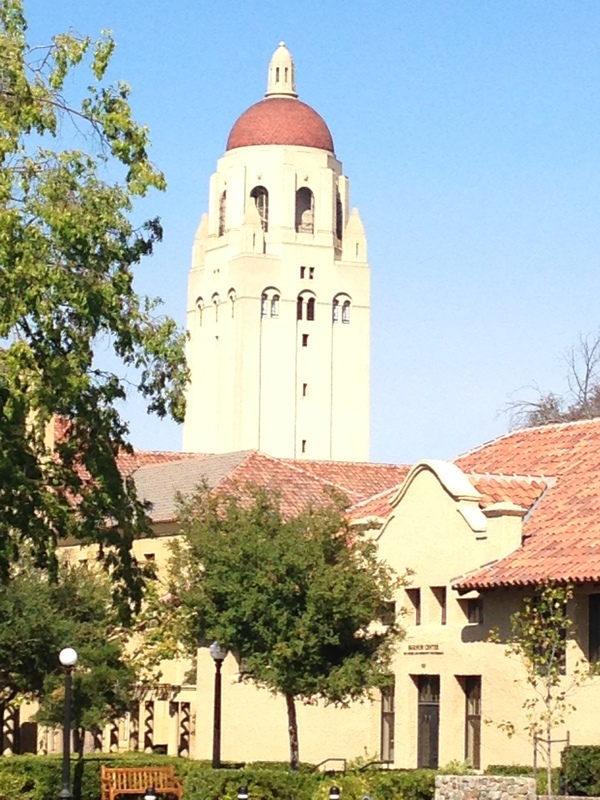 Jennifer Iverson gave a talk in January 2016 at CCRMA, The Center for Computer Research in Music and Acoustics at Stanford University, one of the foremost computer-music centers in the world. The talk, “Invisible Collaboration: The Dawn of Electronic Music at the WDR” is available on YouTube. In January, Marian Wilson Kimber presented a paper, “Women’s Musical Readings and the Canon: Genre, Performance, and the ‘Work’ Concept,” at an interdisciplinary conference, Women and the Canon, at Christ Church, Oxford University. The paper explored the historical position of a rare women’s genre, the musical reading, for spoken word and piano. Matthew Arndt was awarded an Innovations in Teaching with Technology Award from Iowa’s College and Liberal Arts and Sciences for his project, “New Tools for Musicianship and Theory Pedagogy,” which enhances undergraduate theory pedagogy through a program called SmartMusic and an app, Anki. 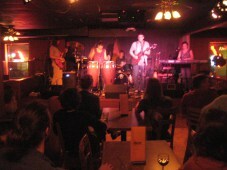 This Thursday, October 29, from 12:30-1:45, students in Trevor Harvey‘s first-year seminar course, Iowa City Live: Local Music Cultures, will be holding their final class meeting at Public Space One (120 N. Dubuque St.), where they will be presenting their own contributions to Iowa City’s live music culture. Over the course of the semester, students have conducted fieldwork at the Iowa Soul Festival, open mic nights at The Mill, music worship services at Gospel Explosion Ministry, and jam sessions at Dublin Underground and Hilltop Tavern, in addition to leading face-to-face discussions with significant contributors to Iowa City’s musical culture, such as Kevin B.F. Burt and Andre Perry, executive director of the Englert Theater. 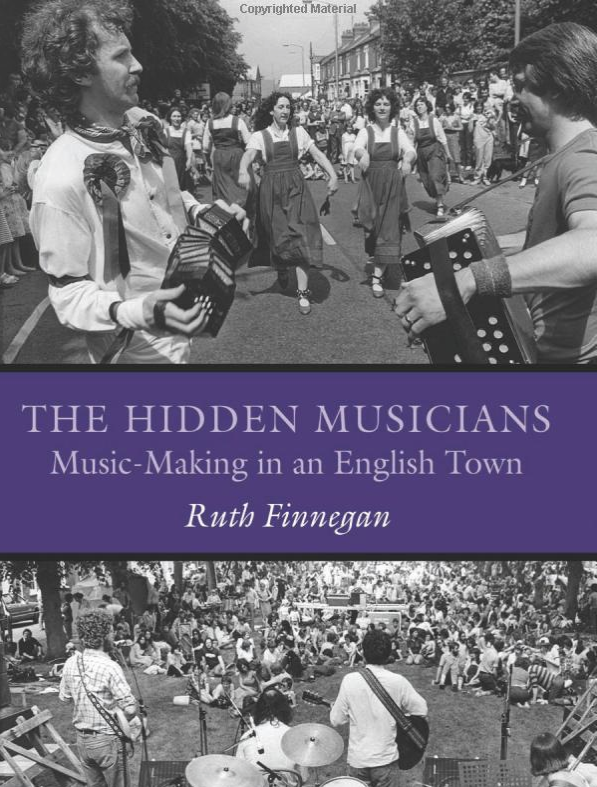 Drawing from the work of music sociologist, Ruth Finnegan, and her groundbreaking study, The Hidden Musicians (1989), the students will present performances that reflect on encounters and lessons learned over the past several weeks in investigating systems of local music-making practices in Iowa City. Performances include short readings, a solo arranged by Hymie Voxman, a video of performances on Ped Mall pianos, an original composition reflecting on leaving home to attend college, an a cappela performance by a student who has never before sung in public, among others. Please feel free to stop in and listen for a few minutes. Refreshments will be available. Public Space One. Thursday 10/29. 12:30 – 1:45. See you there! Marian Wilson Kimber presented a paper, “Li’l Brown Baby: Paul Laurence Dunbar, Dialect Verse, and Musically-Accompanied Recitation by Women” at the fall meeting of the Midwest Chapter of the American Musicological Society in Chicago. 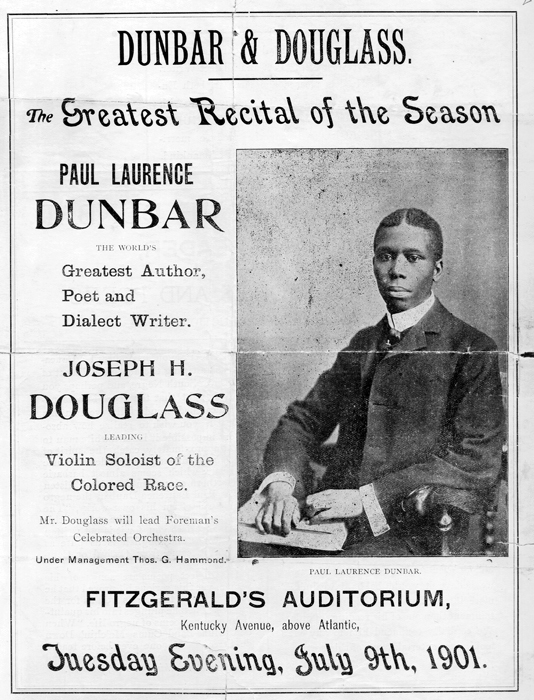 The paper explored the use of music in the spoken-word performances of the African-American poet Paul Laurence Dunbar, and role that the widespread popularity of his poetry with female elocutionists and composers played in its reception. Historical Dunbar and Douglass poster courtesy Ohio History Center, Columbus Ohio. Jennifer Iverson presented a paper, “Preparing Electronic Music” at the national meeting of the Society for Music Theory in St. Louis. 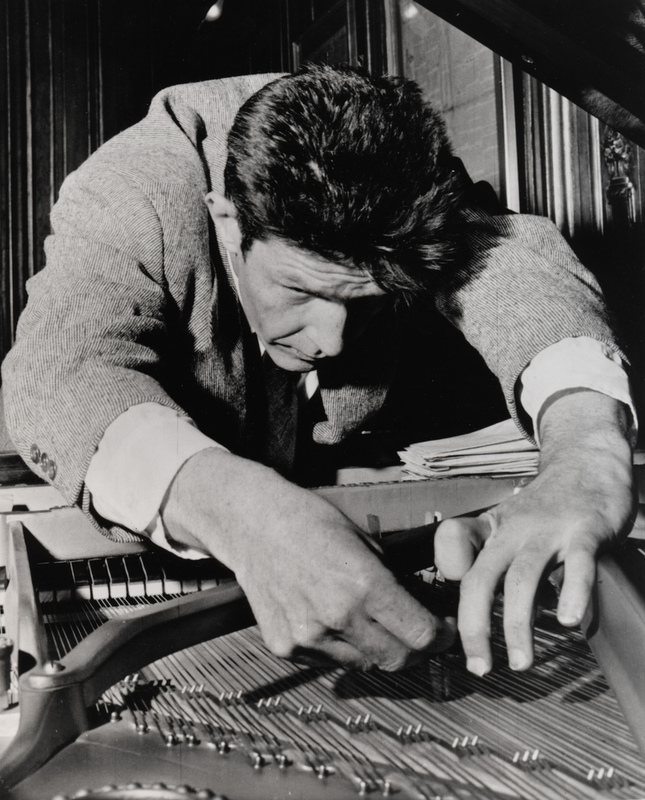 The paper explored the reception of John Cage‘s prepared piano music in West Germany between 1952-54. Before the aleatory debates of the later 1950s, Cage’s prepared piano had a profound effect on both the sound and the temporal structure of early WDR electronic music. 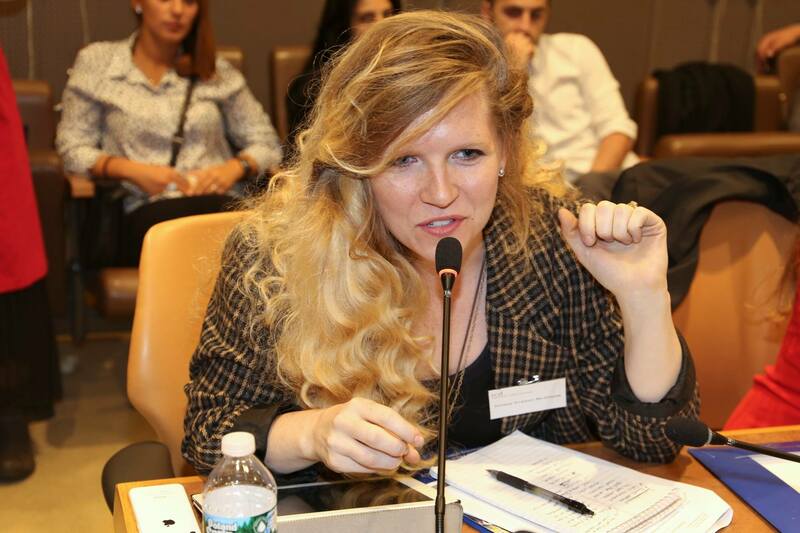 Kelsey McGinnis, a PhD student in musicology, gave a presentation titled “Intersections: Music, Human Rights, and Cultural Diplomacy in an Iowa POW Camp” at the International Symposium on Cultural Diplomacy in the United Nations. The conference was hosted at the United Nations headquarters and other UN consulates in New York, bringing together academic and political professionals. Kelsey presented her work on the musical activities of German POWs in Iowa during WWII as a case study in the history of U.S. cultural diplomacy. Jennifer Iverson, assistant professor of music theory, has won an External Faculty Fellowship from the Stanford Humanities Center. Iverson is one of ten external fellows selected from a pool of over four hundred applicants, making this one of the most competitive and prestigious residential fellowships in the nation. In a happy coincidence, a second University of Iowa professor, Blaine Greteman, is also in the 2015-16 Stanford cohort. A College of Liberal Arts and Sciences article about that is here. 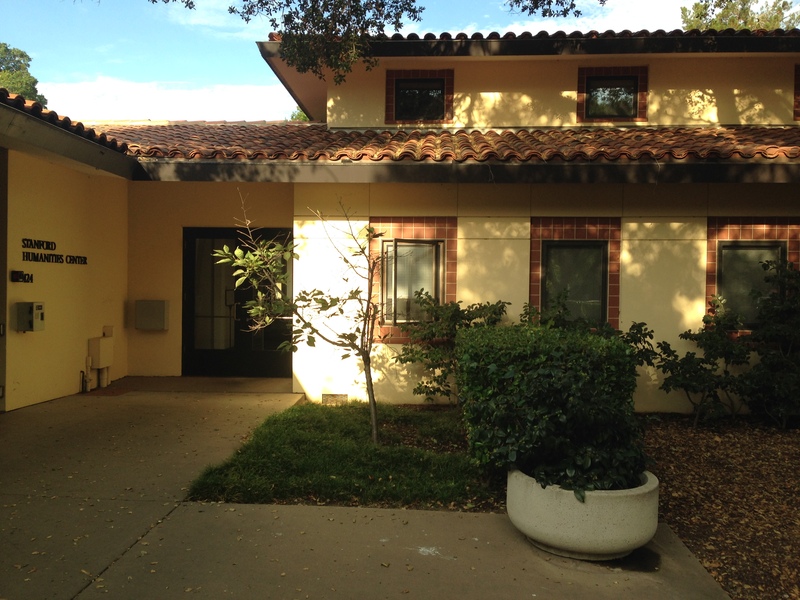 Iverson will spend the year in Palo Alto working on her book project, Electronic Inspirations: The WDR Studio and Musical Thought at Mid-Century. Her research elucidates the impact of the WDR (West German Radio) studio and its music on the post-war European musical avant-garde in the critical decades of the 1950s and 1960s. The WDR in Cologne quickly became a new music mecca due to robust government funding for its electronic studio and related concert series and broadcasts. It is a crucial but so far overlooked institution for the pan-European post-war musical avant-garde. The rise of electronic music at mid-century is deeply engaged with broader cultural questions about the role of technology in institutions, art, and life. Electronic Inspirations shows how the electronic music made at the WDR drove the development of mid-century classical music, and shaped the proliferation of technology in post-war culture more broadly. The fellowship represents an incredible and rare opportunity for focused research and writing within a community of top-notch humanities scholars. This broader humanities context is quite desirable, as Iverson and Matthew Arndt found during their tenure as fellows-in-residence at the Obermann Center at the University of Iowa. As Iverson explains, “More and more, I find that feedback on my writing and my ideas from those trained in the humanities, but not necessarily in music theory or musicology, is extremely insightful and valuable.” Iverson will return to teaching at the University of Iowa in Fall 2016. Musicology, Music Theory, and Composition faculty members have been hard at work during the summer months developing their scholarly and creative projects. Matthew Arndt (Music Theory) went on a trip to Georgia in order to learn more about Georgian music. In particular, Dr. Arndt took a Cultural Heritage Tour through western Georgia led by John Graham, an expert on Georgian music. He heard lots of folk and sacred music, and obtained various chant books and recordings. 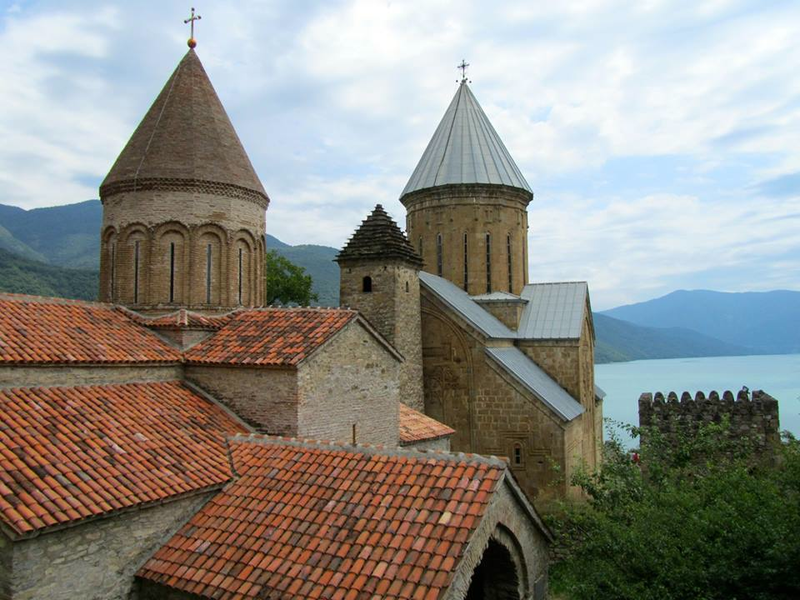 The picture at the left shows Ananuri, a castle on the Aragvi River in Georgia. Michael Eckert (Composition and Theory) is celebrating the release of his new CD Brazilian Dreams: Music of Michael Eckert. The album features Dr. Eckert’s original compositions in the chôro style with performers the Unison Piano Duo, Amanda McCandless (clarinet), and Polina Khatsko (piano). A genre of Brazilian popular music that developed in Rio de Janeiro in the late nineteenth century, chôro has its roots in a performance style for social dances such as the polka, mazurka, waltz, and maxixe, combining harmonic and formal features of European music with Afro-Brazilian rhythms. The album is available on the MSR Classics website and on Amazon now (MS 1549), with the retail release scheduled for October 2015. Lawrence Fritts (Composition) is performing micro-surgery on up-close recordings of a male theatre student’s dramatic speaking voice for a new piece. He is also supervising a $70,000 major upgrade to the University of Iowa’s Electronic Music Studios, which are celebrating their 50th anniversary this year. Christine Getz (Musicology) spent significant time this summer doing archival research in Milan, Italy. There, she promoted her book chapter titled “Music in the 16th and 17th Centuries” in a history volume, A Companion to Late Medieval and Early Modern Milan: The Distinctive Features of an Italian State, edited by Andrea Gamerini and published by Brill, a publishing house known for its international focus. A formal, televised presentation of the book was held on June 8 at the Biblioteca Ambrosiana, a historic library in Milan. A panel of well-known historians discussed the importance of the book and its content. The two chapters on music, one of which was penned by Getz, were among those discussed at length by the Italian intellectuals. Jennifer Iverson (Music Theory) spent five weeks abroad in April and May, visiting Cologne, Kuerten, Basel, Amsterdam, and The Hague. Dr. Iverson is researching a book about the WDR electronic music studio, and its impacts on the Darmstadt avant-garde in the 1950s-60s. This involves studying correspondence, sketches, and scores from archives such as the Stockhausen Foundation (Kuerten) and the Paul Sacher Foundation (Basel). A highlight of the trip was a lengthy formal interview with Gottfried Michael Koenig, a pioneer of electronic and computer music. Koenig served as the technician for Stockhausen’s Gesang der Jünglinge as well as many other of the early WDR works, and then expertly led the electronic and computer music innovations at the Institute of Sonology in the Netherlands for more than twenty years. The interview will be published in issue 276 of Tempo. 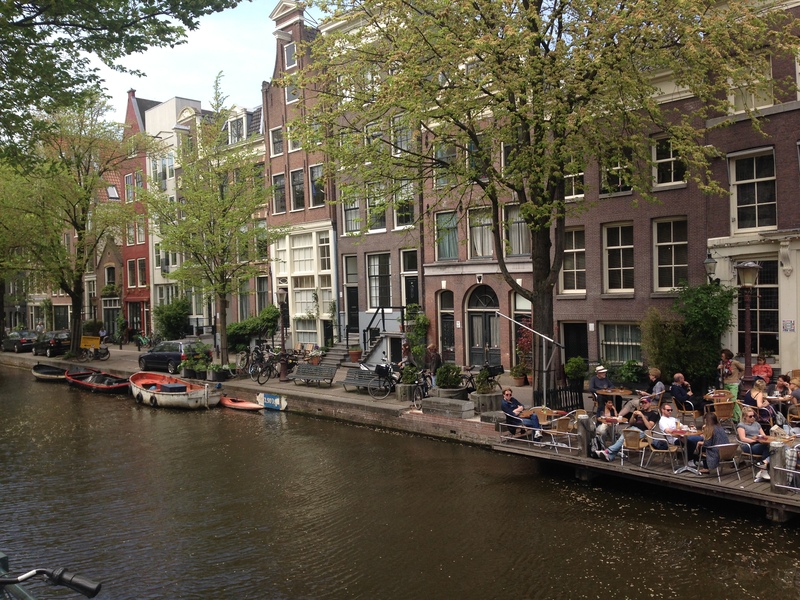 The picture at the left shows the canals of Amsterdam. Nathan Platte‘s (Musicology) summer activities included a trip to Los Angeles, where he visited UCLA’s Special Collections and the Margaret Herrick Library to conduct research on film composer Max Steiner’s early years in Hollywood. 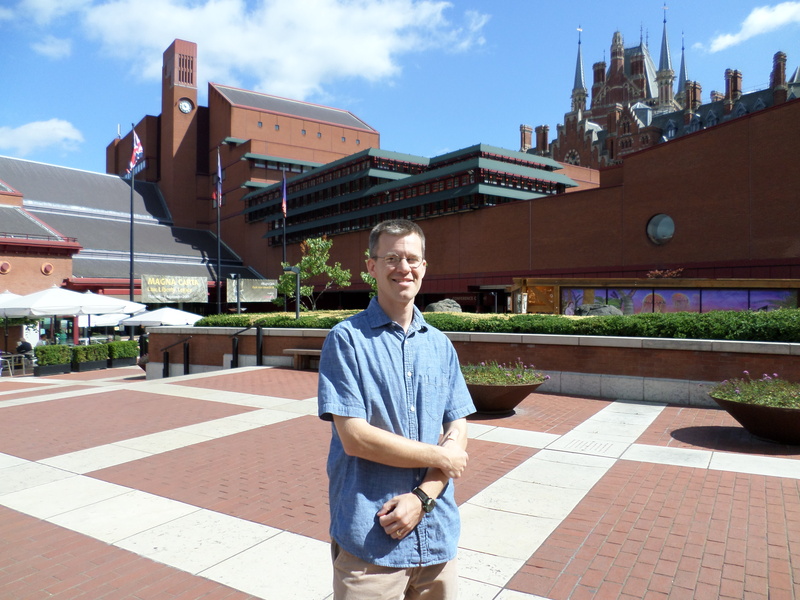 In July Dr. Platte participated in an international conference at the British Library that investigated the opportunities and challenges facing researchers working in audio-visual archives. The program included presentations, round-table discussions, and film screenings. An interview with film composer Ilan Eshkeri about his score for Still Alice (2014) included live performances by the piano quartet heard on the film’s soundtrack. Dr. Platte served on the conference’s program committee, shared a research paper about Max Steiner’s savvy navigation of the Hollywood studio system, and offered a position paper during the round-table discussion. The picture at the left shows Platte at the British Library. Zack Stanton (Composition and Theory) has been working on a commission for the Midfest Band Festival at the University of Georgia. It is an honor band festival that takes place in December for the best middle school bands in that region. Lest you think that a middle school band piece is a piece of cake, Stanton reports, “You can’t imagine how difficult it is to write for middle schoolers.” Dr. Stanton also is hard at work on two future commissions from solo performers. Marian Wilson Kimber (Musicology) received a second (!) publication subvention for her forthcoming book, Feminine Entertainments: Women, Music, and the Spoken Word (University of Illinois Press), from the AMS 75 PAYS Endowment of the American Musicological Society, funded in part by the National Endowment for the Humanities and the Andrew W. Mellon Foundation. Wilson Kimber’s new article, “Ringing Bells in Accompanied Recitation and Musical Melodrama,” appears in The Hidden Soundtrack of the Long Nineteenth Century, special issue of Journal of Musicological Research 34, no. 3 (2015): 249–265. The article describes how, due to the prevalence of bells in poetry performed by late-nineteenth-century elocutionists, melodramatic compositions frequently included bell sounds to create poetic meanings surrounding the passage of time, religious rituals, and death.